Evolis have been manufacturing printers for over 15 years, with offices in 125 countries and 1000's of printers supplied every year, Evolis are quickly becoming the preferred brand of card printer for producing identification cards. 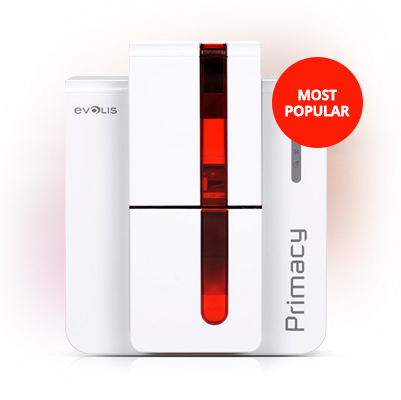 Evolis currently have 7 model of printers available, Badgy200, Zenius, Primacy, Avansia, Quantum, Securion & the Tattoo Rewrite. If you would like to know more about Evolis or their models of plastic card printer feel free to contact our team on 0333 7000 123 or email enquiries@lesar.co.uk for all other ID card printers click here. The Primacy card printer is a printer used widely in the education sector, with 100's of printers being sold every year into organisations the Primacy has become the preferred printer for producing ID cards.